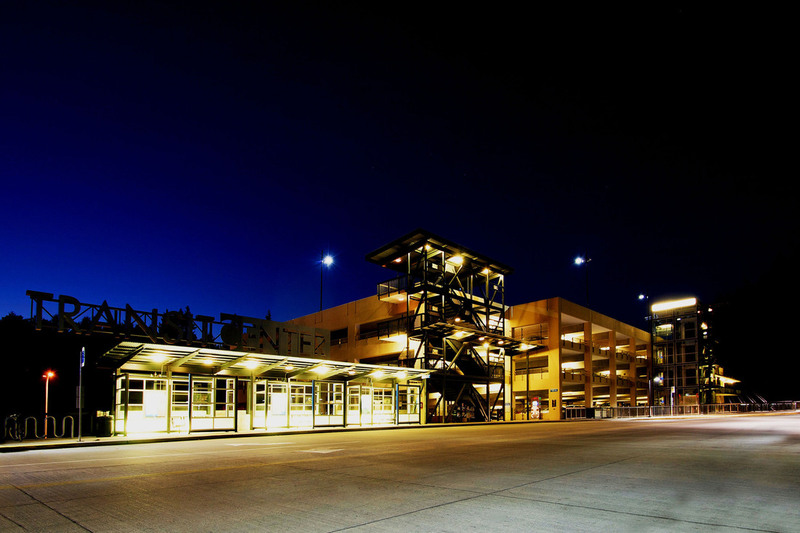 Mountlake Terrace Transit Center Parking Structure | Cary Kopczynski & Company, Inc. 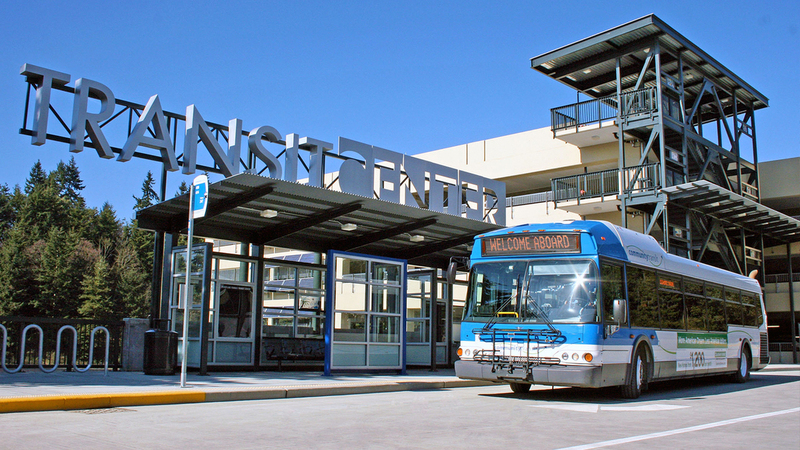 Featuring five levels of open and efficient parking, the Community Transit parking structure at the Mountlake Terrace Transit Center adds conveniences for commuters. The garage is constructed of cast-in-place post-tensioned concrete. A long span framing system provides column free parking. Ductile frames were used for seismic resistance in the east-west direction, eliminating shear walls and maximizing sight lines. Structural durability was enhanced through use of custom designed mixes which reduced slab shrinkage during construction and minimized porosity of the hardened concrete. The internal ramping system features sloped parking bays that provide an intuitive circulation loop through the garage. This project also has a structural steel sky bridge which connects the garage to the freeway bus stop. Construction was completed on time and on budget. The project received a “Green Globes” designation for its sustainable features.